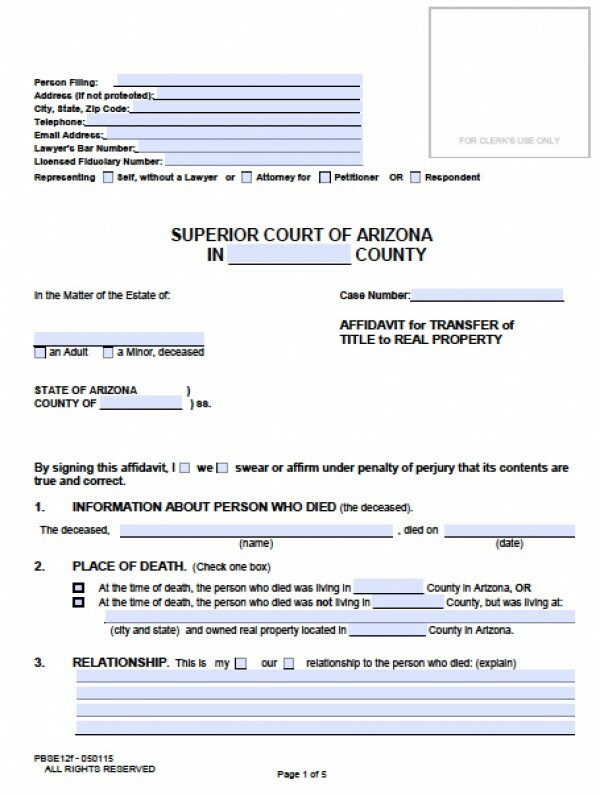 The Arizona Affidavit of Heirship for Real Estate allows successors to transfer real estate, finances, cars, and other “property” after the owner has died, without the need for a will or probate court. 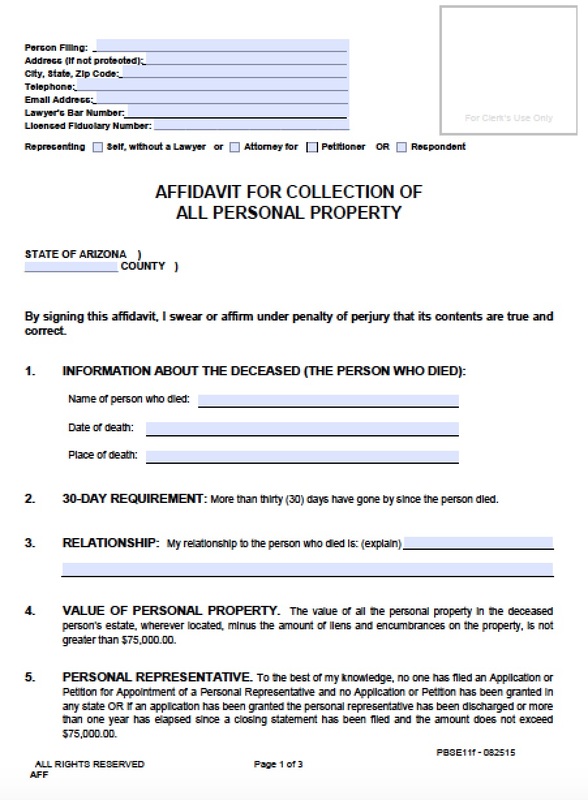 The estate must be valued at less than $100,000 for Arizona to grant this affidavit – larger estates are required to go through probate court – and the successors must wait at least 6 months before filing for the forms. However, successors are allowed to wait for a few years after the decedent passes. In addition, if the decedent had any outstanding debts, funeral expenses, or mortgage payments, these must either be cleared before receiving the affidavit, or the decedent’s estate will be responsible for paying the balance.